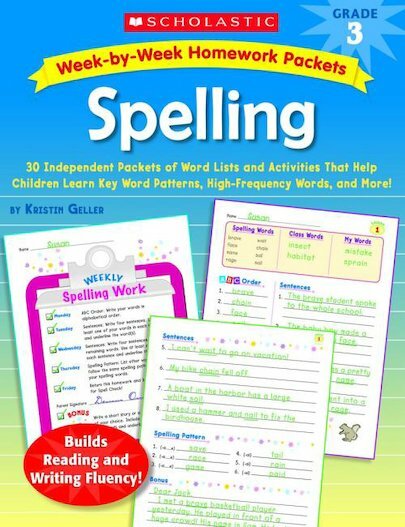 Ready-to-reproduce homework packets are a perfect way to turn students into successful spellers! This program is easy for teachers to manage and includes opportunities for word list differentiation. Kids love the independent activities. By writing and alphabetizing words, creating original sentences, identifying spelling patterns, and more, students will improve their spelling and soar in reading and writing! For use with Grade 3.